Political Relations with People’s Republic of China(PRC) and the Hong Kong SAR of PRC. The history of Nepal China relations could be traced back to the 5th century. These old traditional relations were formalized with the establishment of diplomatic ties between the two countries on 1st August 1955.Nepalese Embassy in Beijing and the three Consulate General Offices in Hong Kong, Lhasa and Guangzhou as well as Honorary Consul in Shanghai has been engaged in promoting Nepal’s interest. The Government of Nepal has made decision to establish Consulate General in Chengdu with the view of further enhancing consular and economic ties between Nepal and China. Nepal-China bilateral ties have always been marked by friendliness, mutual trust, understanding and appreciation of each other’s aspirations and sensitivities. Both China and Nepal abide by the ideals of the Panchasheel-the five principles of peace and co-existence. Nepal has always been upholding “One China Policy” and is committed not to allow our territory to be use against the vital security interest of the People’s Republic of China. Nepal has fully appreciated endorsed and honored the “One Country Two Systems” principle applied successfully in Hong Kong and Macao Special Administrative Regions. Nepal and China have signed the Agreement on Cultural Cooperation and the year 2012 was announced as “Nepal-China Year of Friendly Exchanges”. One of the major bridges of relation between Nepal and Hong Kong is the “British Gurkhas” a well-known contingent of Nepali origin, who served in Hong Kong as a part of British army from 1960s till 1997. Diplomatic relation Between Nepal and the Hong Kong SAR traces back to the British Regime in the then Hong Kong. The relation was maintained from the then Royal Nepalese Liaison Office Hong Kong. Nepalese people began to come to Hong Kong in the 1970s, as part of the British Army’s Brigade of Gurkhas. They Continued in this employment until 1997. Their primary duties were to deter illegal immigrants and protect local residents. So Nepal and Hong Kong has old people to people relation. The formal establishment of the Consulate General of Nepal in Hong Kong SAR in 1997 after the Sovereignty of HK SAR transferred to PRC. Bilateral visits made by Legislative Council President Hon’ble Jasper Tsang to Nepal in 2009 and the visits of Hon. Janardan Sharma, Minister for Energy this year (2017), former deputy Prime Minister and Foreign Minister of Nepal Hon’ble Narayan Kaji Shrestha in 2011, and Mr. Kedar Neupane former Director General of Immigration Department of Nepal have further cemented our friendly relations. We wish and expect such high level visits from both side in the near future. More than 20,000 Nepalese live in Hong Kong whereas the number of Nepalese in Macao is about 4000. The Government of Nepal has always remained appreciative of the open and truly receptive society of Hong Kong and various opportunities accorded to the ethnic minorities. The willingness and initiatives undertaken by the HKSAR Government to integrate Nepalese ethnic minority into Hong Kong society through awareness, education and other socio-cultural activities is praise worthy. Nepalese people living in Hong Kong have grabbed such opportunities and have been able to make significant progress in socio-economic and cultural sectors of Hong Kong. We believe that the communities themselves must be proactive to grab the opportunities provided. In our quest for socio-economic development, the Government of the People’s Republic of China and Hong Kong SAR have always been generous by extending support and assistance to Nepal’s development endeavour as a development partner. Presently, the state of our relationship has strengthened wide enough and is becoming multifaceted. Several factors are directly and indirectly contributing to enhance and strengthen this relationship to a further more reliable and dependable to each other. Since both countries (Nepal and China) are endowed with abundant natural resources, there exists tremendous scope for promoting further cooperation between the two countries in the fields of investment, trade, tourism and human resource utilization. Nepal could be a destination country for tourism, trade and investment opportunity for Chinese businessmen living in Hong Kong SAR. Both Nepal and Hong Kong SAR of PRC should further strengthen their economic ties in the domain of having their competitive strength. The Government of Nepal and the Government of Hong Kong SAR may strengthen mutual relation through mutual cooperation in the areas of tourism promotion, business promotion, investment promotion and many more potential sectors. Nepal is a labor exporting country and Hong Kong and Macao are of the best employment destination because of dignity of work, secured life and higher payment. Thus, we may also develop our cooperation in the area of labor force. We may heighten our mutual relation through the means of visa easing regime as Nepal has already started on arrival visa to all Chinese citizens and the visa fee has also been waived. We may take this opportunity to request the Government of Hong Kong SAR to provide on arrival visa to Nepalese citizens holding Diplomatic and Official passport as well as to ordinary passport holders on the basis of reciprocity. Nepal’s trade with China and Hong Kong is not very promising at present but the potentiality is huge. China is the second largest trade partner of Nepal. The annual export to China in 2016 amounted to 9.394 million USD (9,394,695) while total import of the same year was of 633.207 million USD (633,207,618). On other hand, the annual export to Hong Kong was 1.153 million USD (1,153,090) in 2016 whereas total import was of 7.830 million USD (7,830,310). Major import from Hong Kong includes electronics, watches, cosmetics and readymade garments while major exports from Nepal are woolen products, pashmina, carpets, handicrafts, mountain herbs (Yarchagumba), precious metals etc. There are already so many investments in Nepal from Mainland China. However, Nepal could become a destination of choice for investment opportunity in Nepal to the investors of the Hong Kong SAR. Nepal has adopted liberal economic policies since the early 1990s. Those policies are being timely amended in the context of rapid pace of globalization and regionalism. 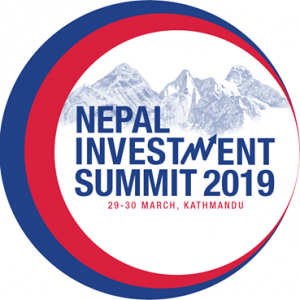 The Government of Nepal is in the process of making timely adjustment in various rules and regulations relating to business and investment climate in order to ensure an investment-friendly environment in the country and accelerate the momentum of economic transformation. Necessary changes are, therefore, being made in the foreign direct investment policies, procedures, laws and regulations. There are no legal and practical barriers to repatriate investment proceeds. Tourism is an important area where Nepal and the Hong Kong SAR of PRC need to cooperate for mutual benefit. So far, there is a huge inflow of Chinese nationals including Hong Kong SAR passport holder and expatriates to Nepal. Nepal has already started to provide best alternative destimation for the Hong Kong SAR tourists to spend their holidays away from the bustle of modernity. There is indeed a great potential for attracting Hong Kong SAR tourists through dissemination and publicity of natural beauty, culture and hospitable Nepalese people. The government of Nepal has already started issuing gratis visa to all the Chinese Citizens since 1st January 2016. As part of economic diplomacy, the Government of Nepal has adopted the policy of sending Nepali nationals for overseas employment with honor and dignity. Pursuant to this policy, Nepali people are increasingly going abroad for employment purposes. Hong Kong SAR of PRC has become one of the most preferred destinations for employment opportunities for Nepalese people workers. If MOU between Nepal and Hong Kong SAR of PRC is made it will be beneficial for both countries.